We made a trip to the Detroit Zoo the other day because my kids wanted to visit its baby giraffe Mpenzi (named the Swahili word for love). Mpenzi was born on September 30, 2014 is almost four months old now and sure is a "big" baby. We spent a half hour with no other visitors around watching Mpenzi and his mother Kivuli play together in their pen while a volunteer docent told us about all sorts of interesting facts regarding giraffes. Kivuli's father Jabari (the second tallest giraffe in a North American zoo) kept sticking his neck out to get our attention and show-off from his pen located next to the mother and baby's. 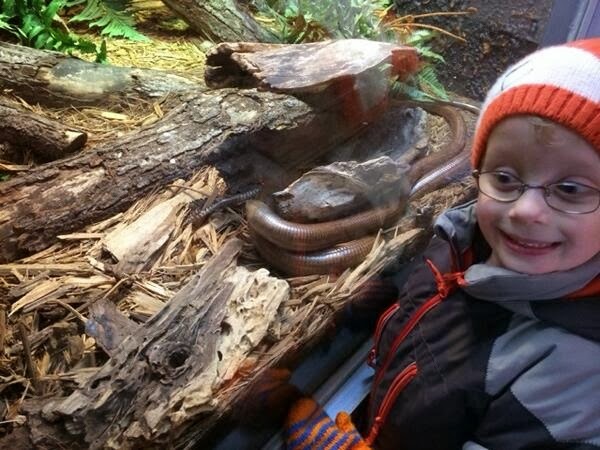 The docent chuckled that "Jabari loves visitors and can be a real attention hog." Many people don't think of winter as being a time to visit the zoo, but most are open year long and if you are willing to bundle up and embrace dealing with some cold weather it can be a great experience. We've made several winter visits to the Detroit Zoo over the last few years and every trip we've essentially had the place to ourselves while having some memorable animal encounters. During our most recent visit the zoo's grounds were covered in snow and it was a brisk 30 degrees out, but it was also sunny with no breeze so it really wasn't that chilly out as we made our way around. 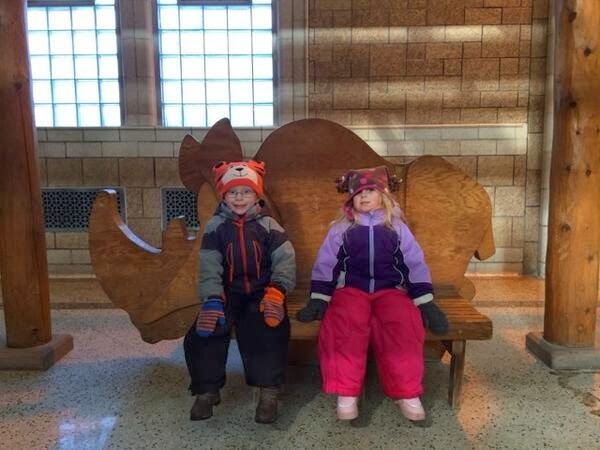 There are plenty of animals on display outdoors even when snow is on the ground. We have seen our best views of the tiger at the Detroit Zoo on winter visits. You wouldn't think that Lions from Africa or Kangaroos from Australia would be out in the cold, but we've seen them outside during winter trips as well. Though the lions do like to lounge on the warming rocks in their exhibits on these snowy cold days. Winter is a great time to see the polar bears who are much more active and playful when there is snow on the ground. 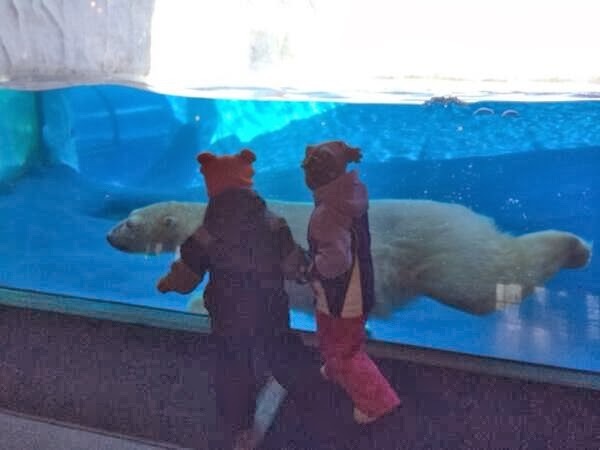 The Detroit Zoo provides multiple heated indoor locations where you can view the bears, as well as an assortment of seals that are also native to the arctic climates, and while these areas are often uncomfortably crowded when the weather is warmer my kids normally have the run of the place during our winter visits. The best plan for a winter zoo visit is to make sure you know where all the indoor exhibits are and map out how you can get around using them as bridges to get out of the cold. Our normal path at the Detroit Zoo involves jumping inside these display areas between viewing the outdoor exhibits: Penguinarium, Butterfly Garden/Bird Aviary, Otter Habitat, Reptile House, Chimpanzee & Gorilla Enclosure, Rhino Exhibit, Giraffe House, Arctic Ring of Life, and wrapping up our trip with a stop at Amphibianville before leaving. The Detroit Zoo does have a Winter Map posted online of their own recommendations for a route through the zoological park which is pretty much the reverse of what I just described. The Reptile House is in the middle of the grounds and a nice break to get out of the cold between the long walk between the indoor exhibits at the rear of the zoo and those at the front. It is normally empty of people when we have visited in the winter and kept at a tropical humid temperature making it a very comfortable place to be on a cold day. The real bonus though is that the snakes are always very active when we've stopped in on our snow day visits compared to the summer months when the crowd noise tends to send them hiding in their exhibits. 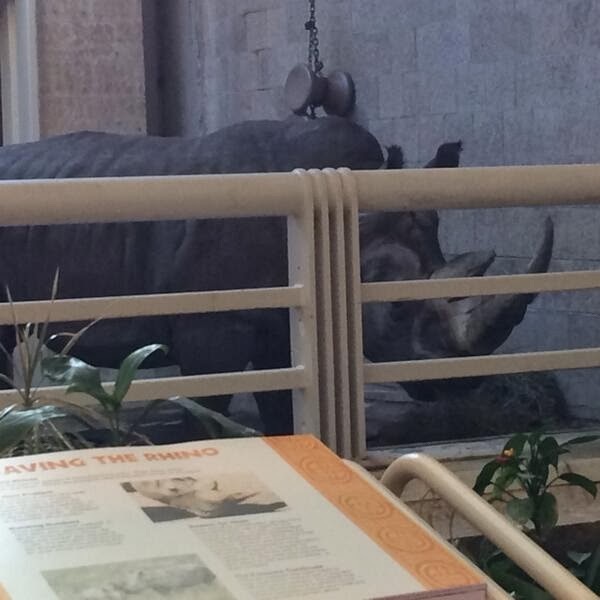 I don't believe many people realize their is an indoor Rhino Exhibit at the Detroit Zoo as it is always empty when we visit. It provides nice views of the animals from a heated gallery, plus some cool benches to sit down and take the load off. The Giraffe House is heated, open and has benches to sit on. You can get up close to these gigantic creatures with a much better view than what you can see outdoors during the warmer months. You really don't understand how tall these animals are until you stand up right next to one. The Otter Habitat viewing area is heated but the pond environment where the animals swim and lounge about isn't and when the weather is cold these animals love to play....the most active we've ever seen the otters has been during our winter trips. 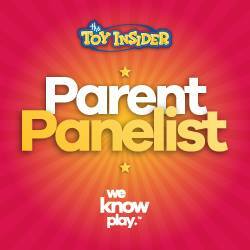 Going stir crazy in your house, maybe a winter road trip to a zoo is just the ticket to get out and about. Make sure you contact the zoo before you go to confirm their winter hours (which normally are normally different than during the peak months) and that they are actually open the day you want to go. 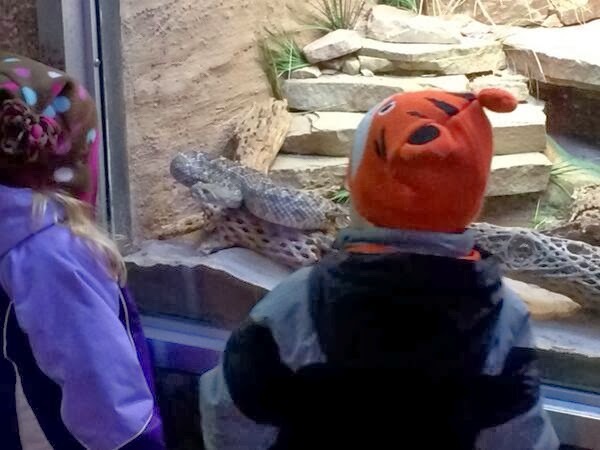 Check to see if the zoo has any special events going on during the winter too as part of your trip planning. For example the Detroit Zoo has several WILD WINTER WEEKENDS with special themed activities going on during those events. 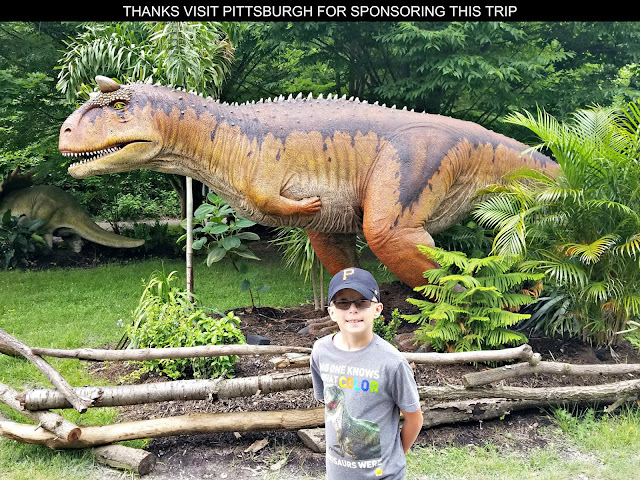 CLICK HERE to search a list of all the accredited zoos and aquariums in the United States and see which ones might be close enough to you for a family road trip. We got to watch the giraffes being fed. It was so cool. I love giraffes.